In McDonough, GA and need legal help? Bodiford Law Group is here for you! Our skilled and experienced lawyers are ready to help you take charge of your legal needs. Our team of professional attorneys are prepared to help clients with a variety of different cases that may be troubling them. Bodiford Law Group represents clients in Personal Injury cases so t hey may seek compensation in response to injuries that may lead to a long-term impact on your health and finances. If you’ve found yourself in a car accident and need an auto accident attorney in McDonough, GA then look no further. Bodiford Law Group is committed to helping you obtain maximum compensation for your personal injury, medical needs, lost wages, property damage, and future surgical or rehabilitation needs. We also represent clients involved in tractor trailer accidents whether they were driving professional in a semi truck or otherwise. Our truck accident lawyers know the complex personal injury and wrongful death laws pertaining to and trucking accidents. If you’re in the McDonough area and are in need of a medical malpractice lawyer, contact us for immediate assistance so we may help you fight for your rights. More than 1 million people suffer injuries each year due to mistakes made by doctors, medical equipment, and other hospital staff. It’s our job to ensure your rights are protected and that you obtain any compensation you deserve if medical malpractice has occurred. If you’ve been charged with a felony it’s crucial that you have an experienced criminal law attorney defend you. If you’re in need of a criminal defense attorney in McDonough, GA, contact us. In the situation that you’re facing criminal charges, you may be able to have them dismissed or reduced in severity with the help of a Bodiford Law Group criminal defense attorney. When your life is being interrupted by legal disputes it helps to have a reliable civil law attorney on your side. Allen W. Bodiford’s group of experienced civil law attorneys help clients in McDonough to achieve the best outcome possible whether that would involve engaging in lengthy litigation or to settle the case early on. If you’d like to know more about Civil Law and how Bodiford Law Group can help you in any legal disputes, visit our page regarding civil law in more detail. In cases involving wrongful death, guilty parties are held responsible for the loss of a victim’s family members and/or loved ones. If you’re in need an attorney knowledgeable in wrongful death in McDonough, contact us and we’ll fight to ensure that you obtain compensation for your loss. When a loved one or relative dies as a result of wrongful death, compensation can be given for several things such as funeral expenses, impairment, medical expenses, and more. Our mission is to create an effective network of City Government services that is responsive to local needs and provides a lifestyle of quality for present and future generations. 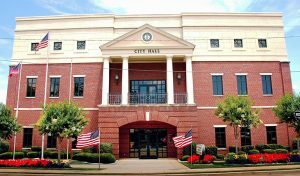 We are committed to executing our duties with the highest integrity and in a manner that instills trust and confidence between the citizens of McDonough and employees of the City. “You’re the reason” we strive everyday to assure all of our citizens a safe and progressive city that is responsive to changing needs. Municipal Court. The Municipal Court is dedicated to providing an impartial forum where all our citizens are treated fairly and with respect as traffic and ordinance violations are resolved. City Probation. McDonough City Probation is dedicated to providing an impartial forum where all our citizens are treated fairly and with respect as Court ordered probation sentences are supervised.